You Can't Help Someone Who Doesn't Want to be Helped. Have you ever been in a situation where you see your friend who is in need of help, but you know they don’t actually want the help? They can’t see that something is wrong, so they keep repeating the same actions that will end up putting them in a bad position? I have been in this situation many times before to the point where I have gotten really good at stopping myself from assisting them because I know they will only push me away as a result. It is a difficult situation to be in. But it is often the position that God is in for the majority of the time, we just don’t see it. We are all struggling. This life is not easy for any of us, and we don’t always make the right choices. To make matters worse, we are our harshest critics. So, when we mess up, or we fail, we tend to be very harsh towards ourselves. We don’t forgive ourselves as fast as we should. Instead, we dwell on our mistakes and try to punish ourselves for them. This type of behavior is what tends to lead us to believe that God could not forgive us. If we can’t forgive ourselves, how do we expect the most perfect being to exist to still want us? But the truth is, when we fail, or we are in a difficult situation, God wants to rush to our rescue, to help us. But we don’t let Him. This forces Him to have a front row seat at our own train wreck that we have not given Him permission to interfere with. When it comes to God’s forgiveness, some of us don’t want it, and some of us don’t believe we deserve it. Some of us would like to live life the way we intend for it to be lived rather than follow the way God would want us to live. And by doing so, our faith becomes weak as we push God down from the top of our priority list. For other people, they have sinned or believe they or not good enough to go back to God. It’s a sense of ‘I’m dirty so why would the most pure being want me’. 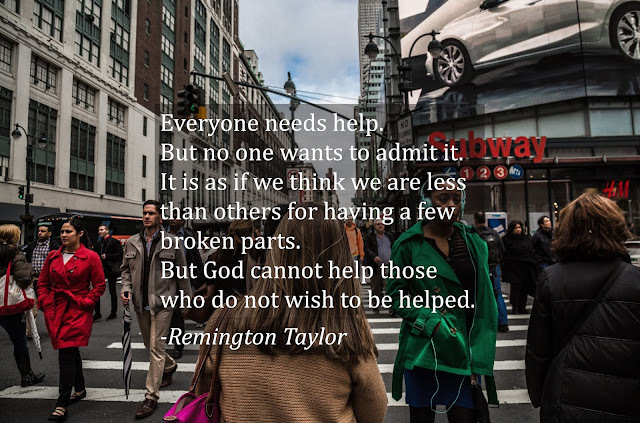 But what people often don’t realize is God is watching everything we are doing and all He wants to do is jump in and help, but He can’t help people who won’t accept it or push Him away. But, just think how much closure you can have by simply believing God is on your side even in the difficult times rather than you pushing Him away.